Serge is the Mayor of Imperial Beach, California, and the Executive Director of WILDCOAST, an international conservation team that conserves coastal and marine ecosystems and wildlife. As mayor, Serge has taken a leading role in addressing sea level rise and holding 35 fossil fuel companies accountable for causing climate change via a pioneering lawsuit joined by five other counties and cities in California. As a conservationist, Serge has worked to protect over 30 million acres of globally important lagoons, islands, coral reefs, beaches and sea turtle nesting beaches in the U.S., Mexico and Cuba. 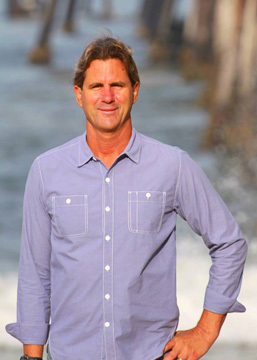 The author of Saving the Gray Whale, Wild Sea and Surfing the Border, Serge received the Peter Benchley “Hero of the Sea Award,” as well as the California Coastal Commission’s “Coastal Hero” Award. He received a B.A. in Political Science from UCSD, and his Ph.D. in Geography from the University of Texas at Austin. A former California Ocean Lifeguard, Serge is an avid surfer and swimmer. Payment Details: Discovery Membership: You can purchase a Discovery Membership if you have never belonged to the Inside Edge. For $160 you can attend four meetings within a three consecutive month period. If you decide to become a member after attending the four meetings, the $160 will be credited toward your Inside Edge Membership fees.